Stock # 11496, 3.5L V6 EFI DOHC 24V, 8-Speed Automatic, 8 mi. Safety, safety, safety. 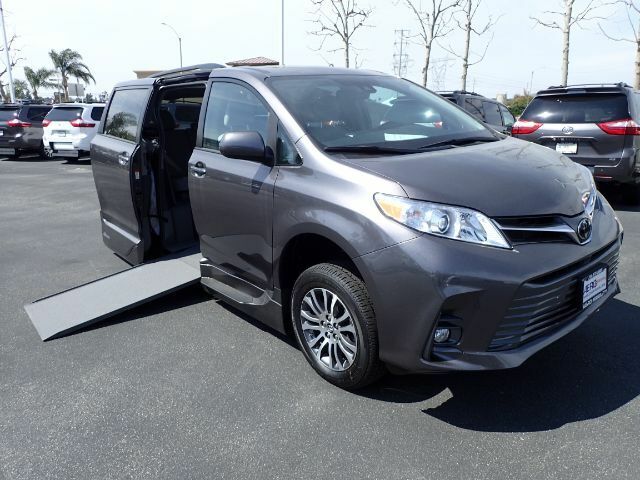 Protect precious cargo with daytime running lights, blind spot mirrors, Bluetooth hands-free connectivity, and parking assist are just some of the features to keep your 2019 Toyota Sienna Limited Premium safe. Equipped with a 30" automatic in-floor ramp by Vantage Mobility (VMI). Soft, creamy leather seats, touchscreen display, and a moonroof are just some of the extras. The two first seats remove so the chair rider can accompany either position or the second row. Rear passengers will enjoy the foldout footrest for extra comfort.